The reason why your skull is so hard is because it protects one of the most vital organs in the human body — the brain. Made up of a complex network of billions of neurons and other cells, the brain is responsible for the operation of your body as well as how you think, act and feel. Makes sense to have it protected by the hard bones of the skull. Unfortunately, not everyone can say their brain is 100 percent protected. 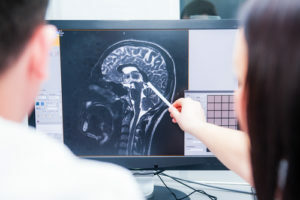 In fact, according to the Centers for Disease Control and Prevention (CDC), almost 1.4 million people in the United States suffer a brain injury each year. Many of these brain injuries come as the result of an accident. These accidents can be car accidents, related to negligent medical treatment, happen at work or at home. Brain injuries can be serious and even permanently debilitating. If you have suffered a brain injury and feel it came at the hands of another, you have the power to pursue legal action against them. When it comes down to it, a traumatic brain injury lawsuit will most always boil down to negligence. This type of claim will require you to prove that the party you are suing is legally responsible for your injury. In addition, you must also prove they failed to act with reasonable care and that their action/inaction resulted in your injuries. As is the case with any negligence case, evidence in regard to the accident and your injuries is paramount. It can make all the difference in a court of law when deciding about your case. It is important to gather any and all information as soon as you can following your injury. With a brain injury, memory loss is common. You should seek out other sources, like witnesses, accident reports and even news articles to help you paint the picture. You also need to keep track of where you were injured as well as what you were doing at the time. You should then follow up by keeping track of any and all medical treatment you end up getting. Of course, gathering all of that evidence alone does not ensure you a quick and easy case. You will need the help of an experienced attorney to shape your case and make it as strong as possible. You should contact the attorneys at Blume Forte Fried Zerres & Molinari in New Jersey. They have been helping brain injury victims across New Jersey for years. They know what it takes to get the job done. All you have to do is fill out a contact form and an attorney will be able to take care of the rest.